lemons are the cutest fruit. it’s a fact. b & i have been inspired ever since kirsten got married last year and we threw her a shower with baskets of the cutest hand picked lemons, and served lemonade. simply delicious. 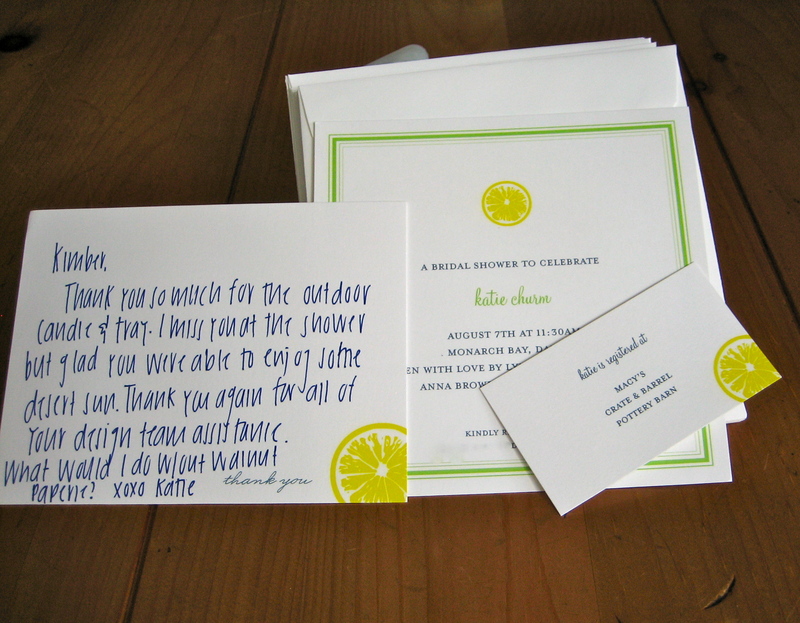 katie’s shower invites, registry card and simple thank you notes are to die for. and the best part about designing invites for a friend is receiving one in the mail! this invite is too cute. 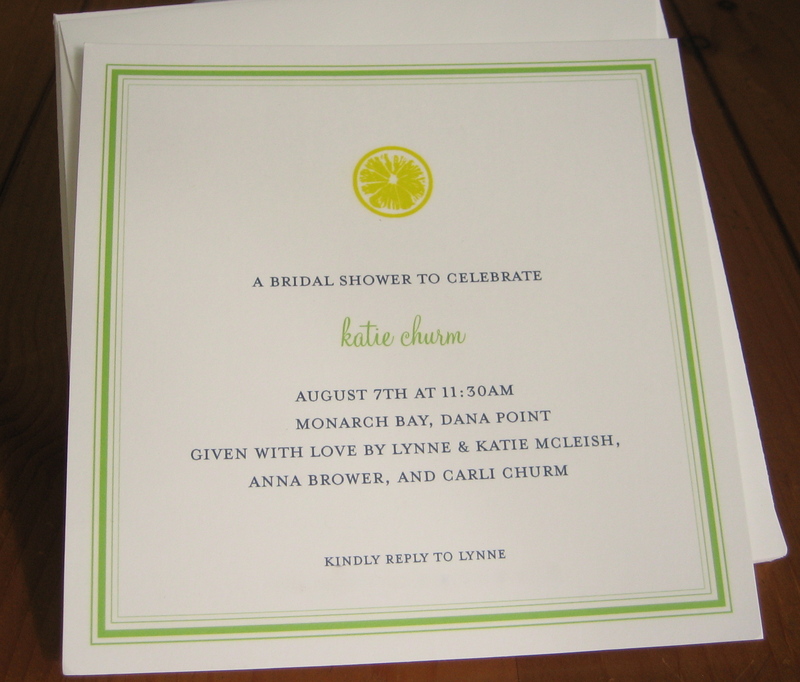 B designed these wedding invitations recently, and we just printed and shipped them out. 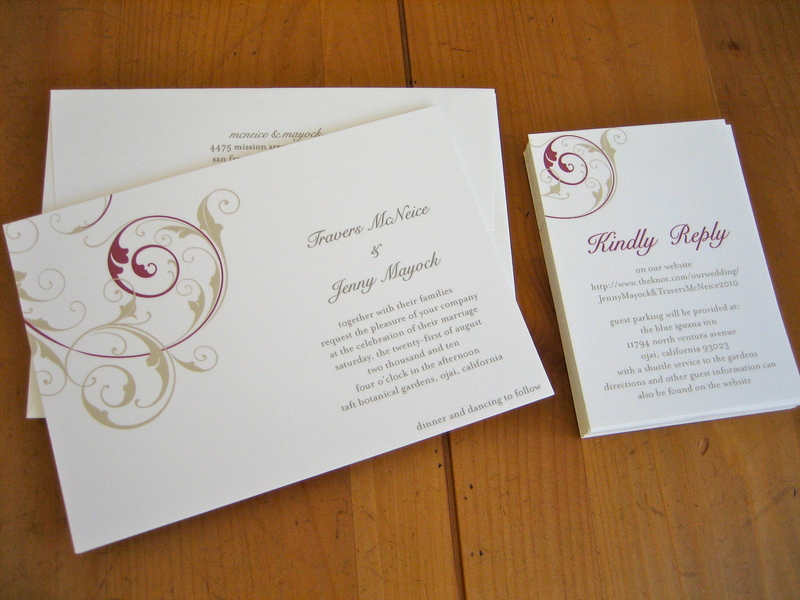 The raspberry & safari looked gorgeous, printed on ivory paper. The bride already addressed & mailed them out :) cheers! 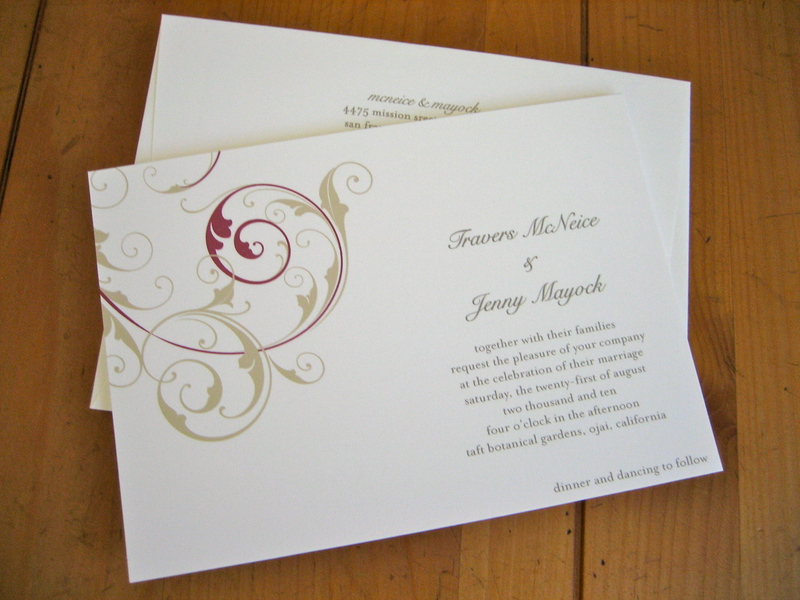 email us at walnutpaperie@gmail.com to design your custom wedding invitations, or just ask a question!